« This Week in CTE: Happy 100 Years! About Georgia: Georgia CTE is delivered through a combination of comprehensive high schools, charter schools and technical colleges. CTE students in the state are active and high achievers. More than 150,000 students participate in Career Student Technical Organizations (CTSO), and in 2015, 95 percent of CTE concentrators graduated from high school — a considerable achievement compared to a statewide graduation rate of 79.2 percent. 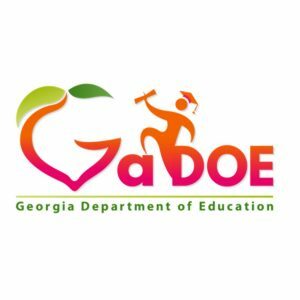 Currently, the Department of Education is working in partnership with the Governor’s office to align CTE programs with Georgia’s 12 economic development regions. This work is part of Gov. Nathan Deal’s High Demand Career Initiative. Gov. Deal launched the initiative in 2014 in an effort to bring together both private sector employers and higher education leaders to learn from one another and discuss opportunities to align education priorities with workforce needs. This work not only illuminated the priority skills and industries for Georgia’s future economy, but also spurred new strategies, such as a workforce needs assessment, sector partnerships, and industry-specific task forces, to help align education with workforce needs. CTE has been at the table throughout this process, listening to and learning from business leaders across the state. Programs of Study: Georgia offers programs of study in 17 Career Clusters. These are based on the 16 industry sectors in the national Career ClustersⓇ framework plus an additional Cluster focused on energy. While programs of study are developed and delivered locally, the state recently designed frameworks that can be adapted and delivered according to local needs. The state has also worked to increase local flexibility and empower district-level decisionmaking by rolling back rigid regulations on state capital equipment grants. Postsecondary Counterpart: Funding from the Carl D. Perkins Career and Technical Education Act of 2006 is split almost evenly between the secondary and postsecondary sectors in Georgia. As such, Dr. Wall has been working to strengthen the relationship between the Department of Education and the Technical College system to create more seamless pathways for students. Recently, parties from both sectors engaged in an effort to examine high school and postsecondary CTE courses and identify connections and opportunities for alignment. Notable in Georgia: In addition to Georgia’s strong partnerships, high graduation rates and CTSO participation, the state is notable for its efforts to provide professional learning opportunities to CTE teachers and administrators and to engage students in career planning. Compared to other states, Georgia’s professional development system is unique. Local education agencies can set aside five percent of their Perkins allotment to feed into a statewide professional learning consortium that provides resources and trainings for CTE teachers and administrators. This consortium, called the Career, Technical and Agricultural Education Resource Network (CTAERN), provided training for more than 7,900 professionals in the 2015-16 school year alone. By pooling resources across the state, CTAERN is able to provide professional learning supports and resources at scale. Additionally, each eighth grade student in Georgia is required to develop an Individual Graduation Plan (IGP) that identifies coursework and opportunities aligned with that student’s academic and career goals. The IGP is required under HB400, or the Georgia BRIDGE Act, which was passed in 2010. In addition to the IGP, the BRIDGE Act requires local education systems to provide students with career counseling services, career awareness activities and information to guide their academic and career planning. In January 2017, Georgia’s partnership with business and industry leaders culminated in the launch of the Career Pipeline Tool, a web-based platform that enables students and families to identify accessible career pathways in their local schools and map those opportunities against corresponding in-demand industries in their region. The tool also provides information to employers about the workforce competencies of the local student population, helping them make critical decisions about staffing and training needs. Moving forward, Dr. Wall’s office plans to develop and launch an economic development certificate program to recognize school districts that have effectively engaged business and industry partners in their region. This program is designed to build upon Gov. Deal’s High Demand Career Initiative Work and strengthen partnerships between education and employers at the local level. This entry was posted on Monday, February 27th, 2017 at 8:00 am	and is filed under Public Policy. You can follow any responses to this entry through the RSS 2.0 feed. Both comments and pings are currently closed.